EDC engineer Robert Adaszewski is a member of a record breaking skydiving team named “Lost in Space”. This team has spent almost two years preparing to beat the current Polish 9-people formation record. Finally, after a lot of hard work 11 members of the team decided to give it a try and the final record breaking jump was made in Chrcynno on June 12. Below you will find a short interview with Robert on his passion and the team’s plans for the future. I started my skydiving adventure in high school. My colleague told me that he had started a skydiving course and asked if I would like to try, as well. I went with him to see how it looks and after this first visit I quickly decided to join the Warsaw Aeroclub. The atmosphere and people were great there. After 4 months of training, I made my first jump in 1992 at Chrcynno dropzone. How many jumps have you already made? As for today, I have made 715 jumps. This is nothing special, nowadays skydivers make over 300 per year but I had a 9-year break. However, I have jumped from many different aircrafts, helicopters, even a balloon, during the day and at night, onto the ground and into the water. I have also participated in competitions and airshows. It is not if you remember about the major safety rules which are simple but extremely important. Skydiving is a great school of responsibility. How did you come up with the idea to break the record? It was my colleague’s idea. 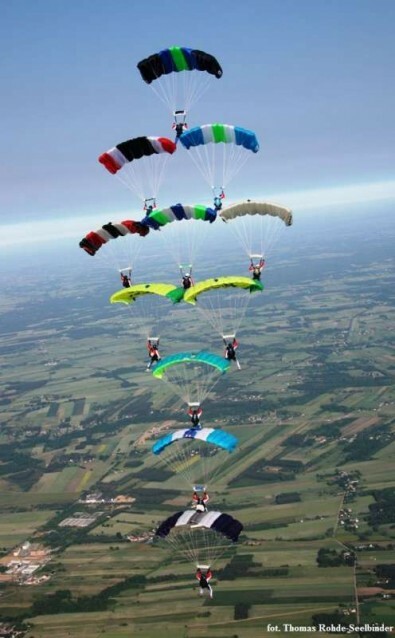 He decided to organize a team 3 years ago when he met the Canopy Formation (CF) fans from Eastern Europe during a skydiving boogie in Germany. 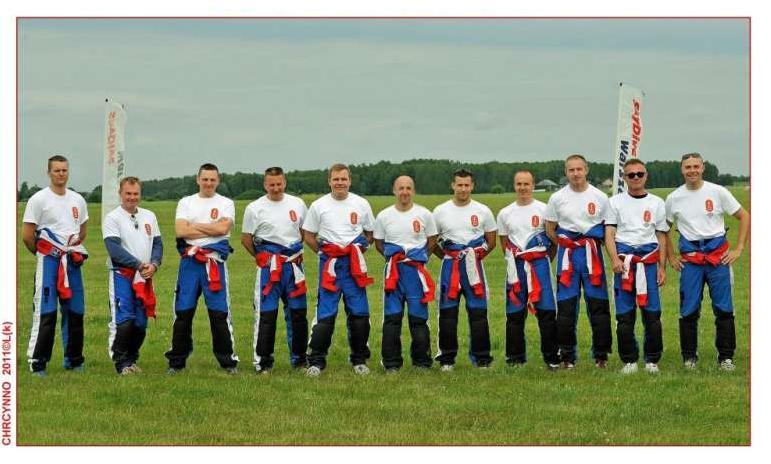 The previous Polish record in canopy formation was 9-way. The official European record is 16-way. Because CF is not very popular he spent over 2 years looking for people who would like to beat the record. I joined the “Lost in Space” team as the last member this year after a 9-year break. When did you break the record and how was it judged? It was performed in June during the CF++ Convention at Chrcynno dropzone. Actually, “Lost in Space” broke the record two times that day because the first was a 10-way formation and the 11-way formation followed. The jumps were performed from 4000 meters, early in the morning to avoid turbulence in the air. We had two cameramen on board to take pictures in the air. The judges controlled our FAI licenses before the jumps and later checked the final formation picture to see if all the grubs were correct. Now all documents are waiting for the official approval of the Aeroclub of Poland. Is “Lost in Space” going to break the 11-way record? Yes, we are thinking about it but first we have to find more skydivers and sponsors to buy equipment and accelerate our trainings. The plan is to build a 16-way formation in 2013/2014 and also participate in the new 49-way European record which is planned for next year. Robert is currently working for EDC Aviation Systems. The “Lost in Space” team.